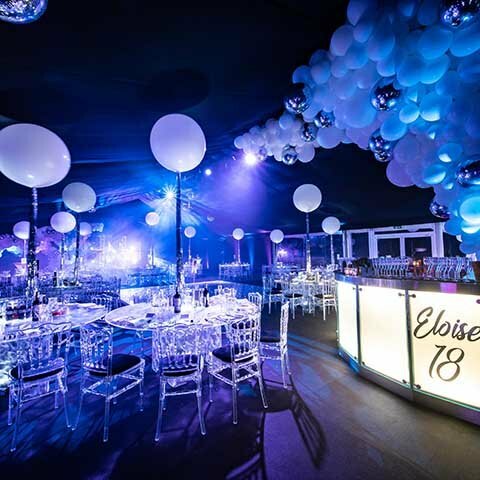 For this particular 18th birthday party balloons had to feature in a big way, the birthday girl loves them! 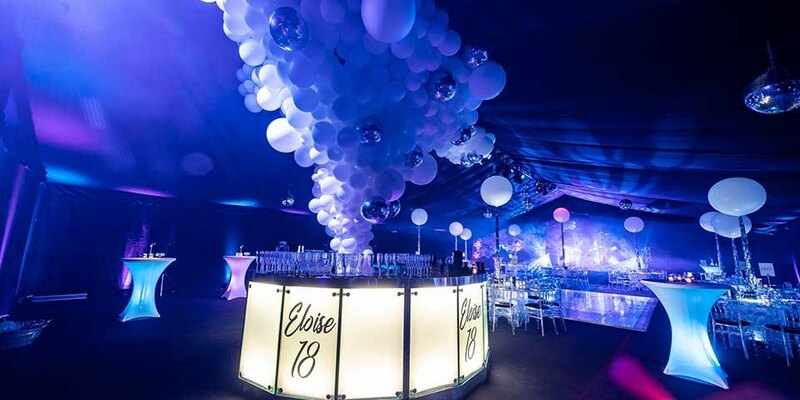 That, and a marquee that would look elegant and stylish, was our brief to create a special celebration for 120 guests in Sevenoaks, Kent. 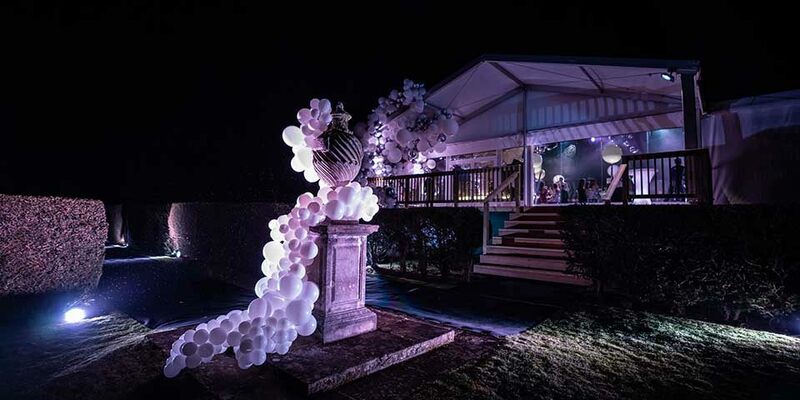 Our marquee company worked their magic to build a fantastic marquee in a sloping field, and the resulting decked area with steps cleverly created an impressive entrance as guests approached via a lit avenue of high hedges. 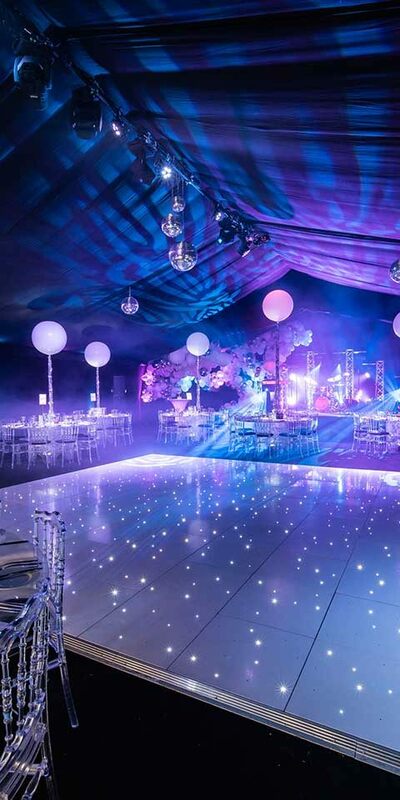 Inside the marquee, with the walls and ceiling covered in blackout material, we created a white and sparkly space. 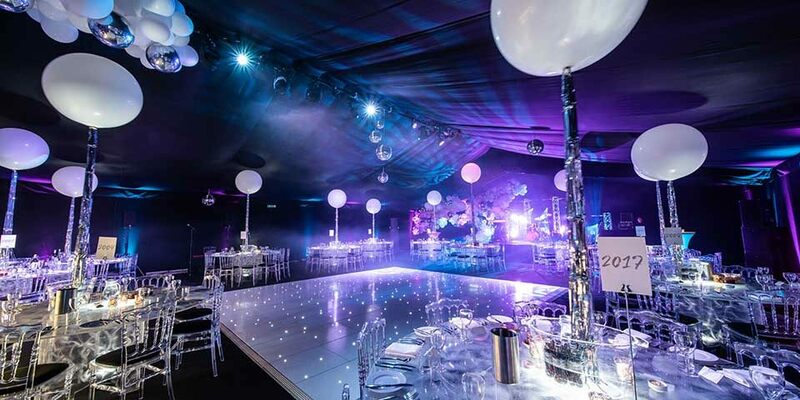 A white starlit dance floor was surrounded by acrylic round tables and chairs. 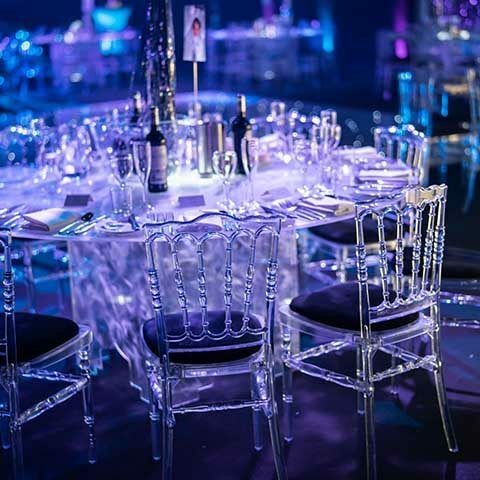 The tables themselves were uplit, which produced a gentle and ethereal glow. 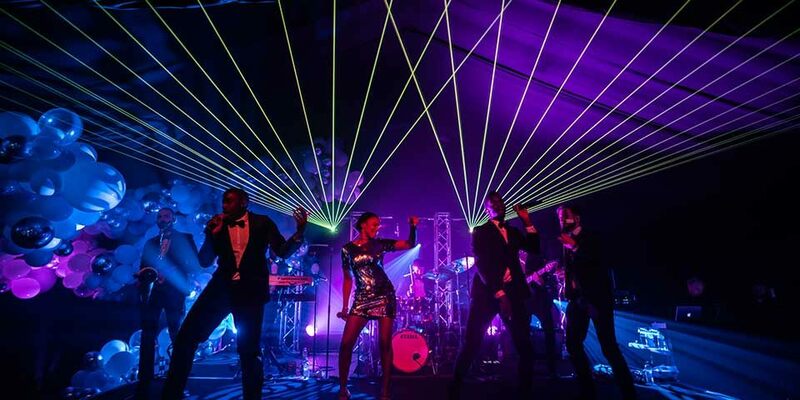 All of the lighting effects during the drinks reception and dinner were created with white light. 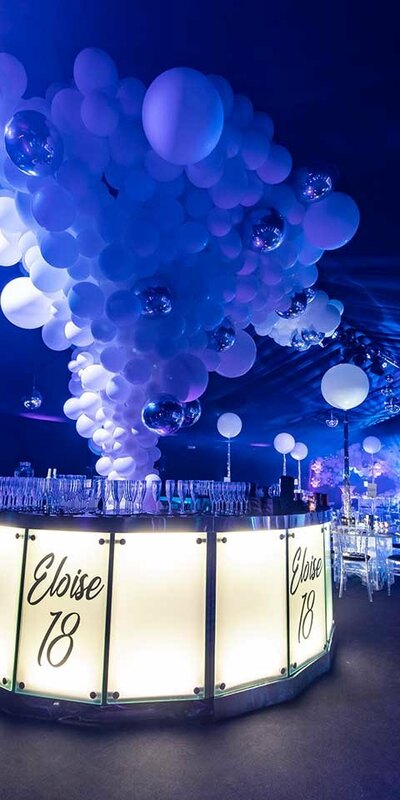 And then there were balloons – not just a few bunches here and there, these were serious balloon installations that provided plenty of visual impact. 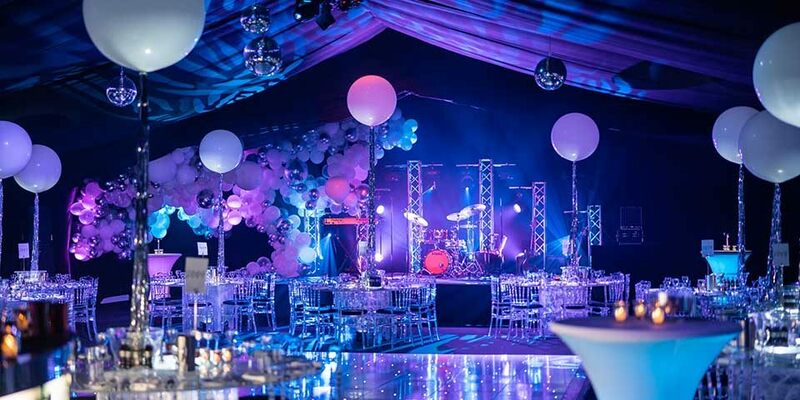 Dinner was followed by speeches and a very big surprise. 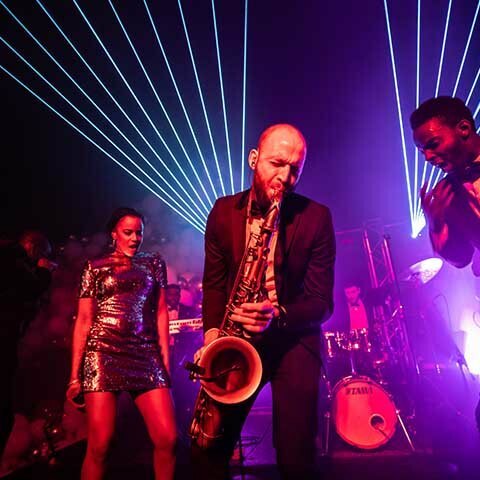 During the welcome drinks reception, guests had been entertained by a saxophonist and keyboard player. 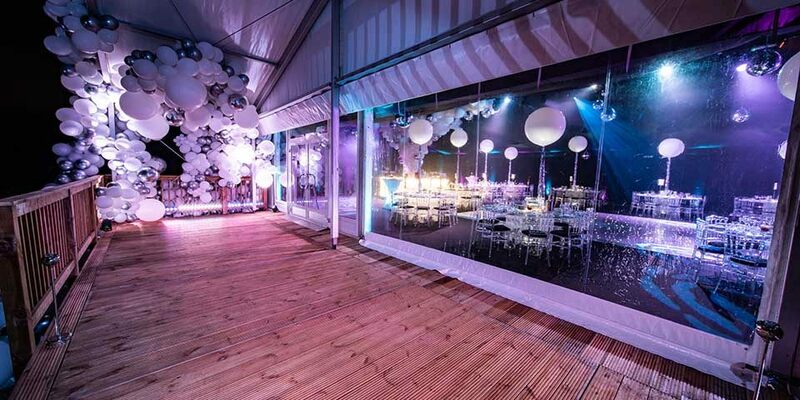 What the birthday girl wasn’t expecting was that, at the cue of ‘let’s party’ an eight-piece band would be revealed behind the curtained fake end of the marquee! 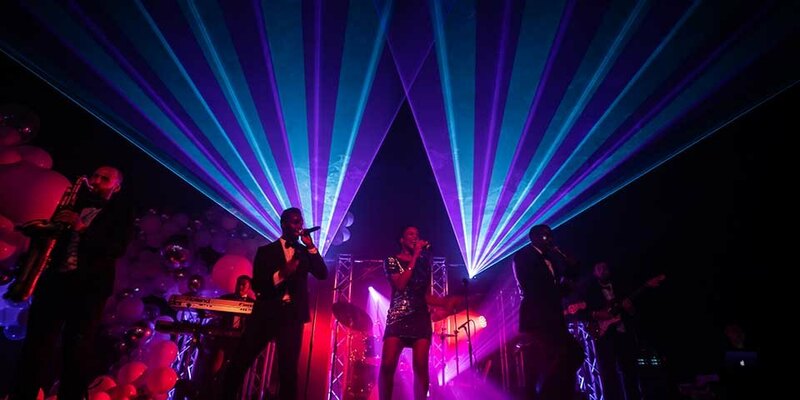 With the band instantly belting out songs that filled the dance floor, the lighting design changed dramatically. 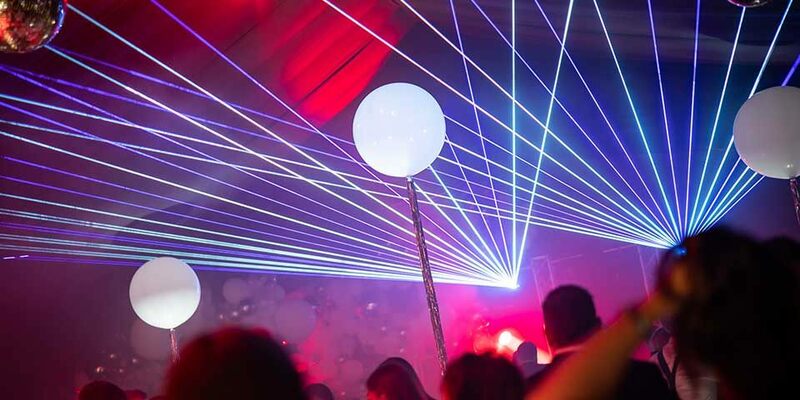 We introduced colour, movement and lasers, which enhanced the party atmosphere and saw the marquee interior transform effortlessly from formal dining area to a cool club.